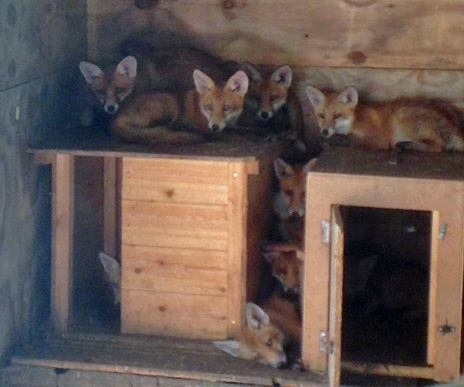 Here is photo of some of our 20 fox cubs out in the fox pen. Here they can play and prepare themselves for release. Contact with us is now the bare minimum only when they are fed. As you can see from this photo they are already wary of us.